Once the mechanical engineer received the file, he had to create a model and determine which layer a design was created on within the PCB design. As electronic products become smaller and smaller, the design process has become even more challenging. Relocating electrical components is difficult, and the room for human error is great. With SOLIDWORKS, those difficulties have been reduced. 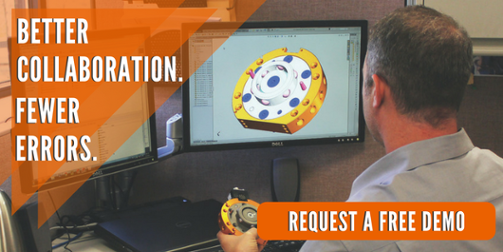 SOLIDWORKS is the only CAD original equipment manufacturer (OEM) that allows these products to be ran within a single native CAD environment. With SOLIDWORKS, you can turn on add-ins that allow you to leverage other design disciplines within the same easy-to-use, intuitive user environment. 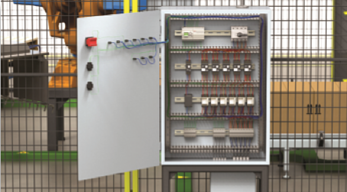 Plus, SOLIDWORKS allows for bidirectional collaboration between PCB designers, electrical control panel designers and mechanical designers. This collaboration increases the communication between departments so changes happen faster and with fewer communication errors. SOLIDWORKS made this a reality with powerful electrical PCB capabilities similar to Altium Designer. 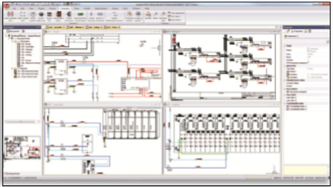 SOLIDWORKS also added 2D schematic design capabilities found in other 2D electrical design CAD platforms. Each tool can be implemented as needed, and all products are scalable to support your company as it grows. The new SOLIDWORKS PCB, powered by Altium, combines the power and usability of Altium with the 3D expertise of SOLIDWORKS to unite the electronic and mechanical worlds, one design at a time. Designs come to life with integrated electromechanical design data, managed ECO processes and greater analysis capabilities. 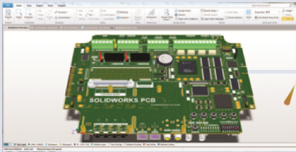 SOLIDWORKS PCB brings the best of both worlds together. 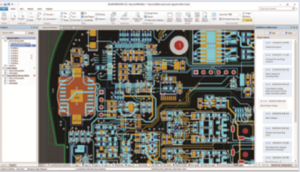 Do what you do best in SOLIDWORKS, and let SOLIDWORKS PCB handle your PCB design needs. 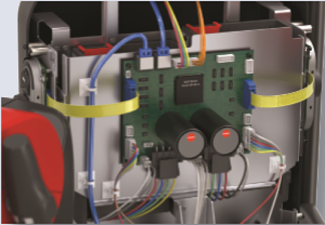 SOLIDWORKS PCB Connector allows current and future Altium users to preserve and enhance their investments with innovative collaboration and data management capabilities. A powerful easy-to-use suite of collaborative schematic design tools drives rapid development of embedded electrical systems. Built-in libraries of symbols, manufacturer part information and 3D component models provide common reusable materials to optimize design reuse. Streamline and simplify an array of tedious design tasks, from PLC and terminal block to contact cross-reference assignments with SOLIDWORKS' automated design and management tools. SOLIDWORKS Electrical 3D integrates electrical schematic design data with SOLIDWORKS 3D models, bidirectionally and in real time. 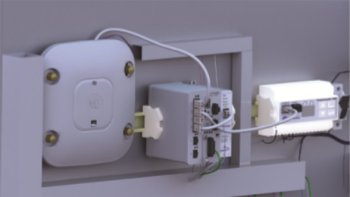 SOLIDWORKS Electrical 3D enables you to place electrical components and use advanced SOLIDWORKS routing technology to automatically interconnect electrical design elements within the model. Plus, you can determine optimal lengths for wires, cables and harnesses, all while maintaining design and BOM synchronization between electrical and mechanical designs. If you have not seen these products at work, we'd love to show you how they can help your design teams merge their design expertise and drive innovation. Click the banner below to get a free demo.